To see all newly approved IGFA Slams & Trophy Fish clubs since February 21, 2019 please view this PDF. IGFA Lifetime Member Brent Evans recently made angling history by becoming the first angler to complete every one of the IGFA’s Grand Slam Clubs. Evans’ first Grand Slam came in 2014 when he caught a largemouth, smallmouth, rock, spotted and white bass in the same day to complete the very rare Bass Fantasy Slam. Since then, Evans has racked up more than 100 Bass Slam Clubs – more than any other angler in IGFA history. Along the way, Brent also managed to accomplish the remaining seven IGFA Grand Slams, all of which are shown below. 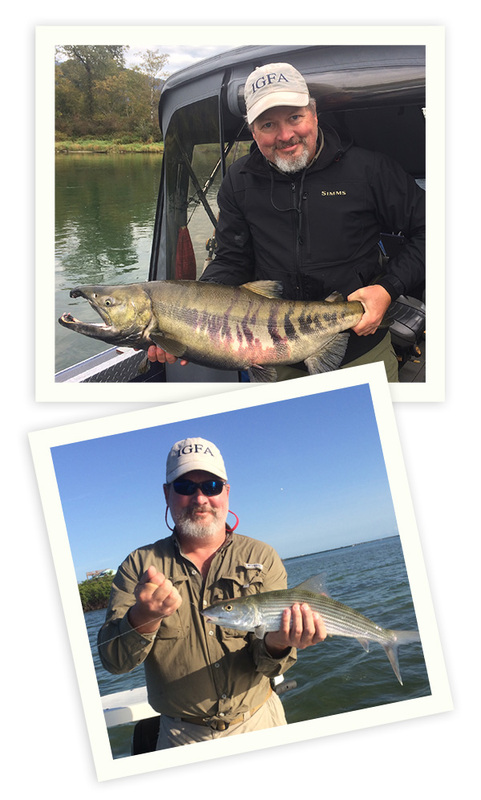 The IGFA congratulates Brent Evans on this significant angling achievement and thanks him for his continued support of the organization, its mission and the sport of angling. To learn more about the IGFA’s Slam & Trophy Club programs, please visit: https://igfa.org/angler-recognition/. 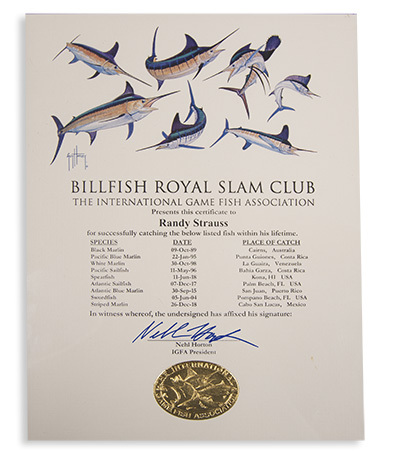 Angler, Randy Strauss is the latest member to join the prestigious IGFA Billfish Royal Slam Club. Strauss began his quest with a black marlin that he caught fishing out of Cairns, Australia in 1989, over the next nine years he fished Florida, Hawaii, Costa Rico, Puerto Rico, Venezuela and Mexico to catch the remaining eight fish he needed to complete his Royal Slam. Randy completed his quest the day after Christmas while fishing in Cabo San Lucas, Mexico where he caught the striped marlin he needed to join the exclusive fraternity of anglers that have accomplished the same feat. 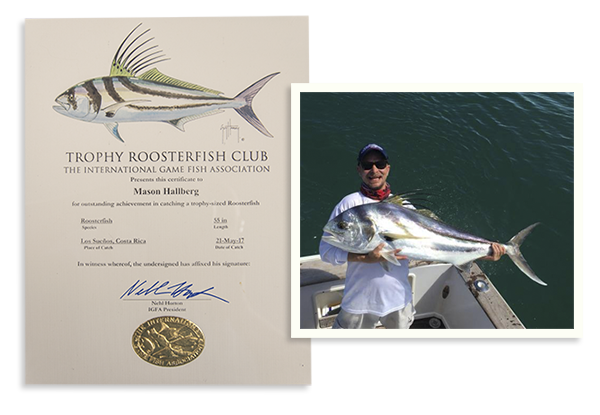 Congratulations to angler Mason Hallberg on becoming the newest member of the IGFA’s Trophy Roosterfish Club! Hallberg was fishing off Los Suenos, Costa Rica on May 21, 2017, when he caught and released this impressive 55-inch rooster. Because there are no time limits on submitting applications for the IGFA’s Trophy Fish Clubs, Hallberg’s claim was recently approved and his certificate mailed out. Learn more about the IGFA’s Trophy Fish Clubs here: https://igfa.org/trophy-fish-clubs/.